Add a hint of gleam to your ensemble with Ronja Chain Link Necklace Set. The shimmery texture on the links adds allure to the necklace. Classy gold stud earrings. 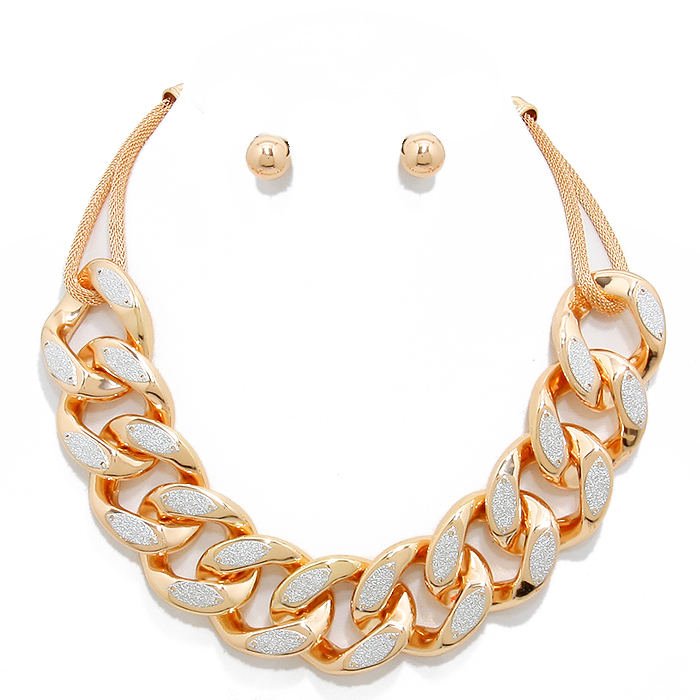 Buy this beautiful chain link necklace set and add it to your collection of fashion accessories today.